When you live an unconventional life you realize quickly that the world isn’t designed to meet your specific needs. From the silly (30 day limits on credit card travel notifications) to the serious (difficulty obtaining health insurance without a fixed address), a range of inconveniences go hand-in-hand with going your own way. Even internet travel resources, as great and as liberating as they are, are built to answer questions different from the ones we need answered. 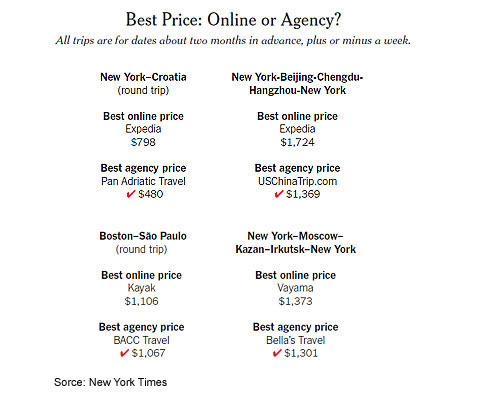 Sites like Expedia and others are great for pricing airfare on a specific itinerary. If you know the where and the when of your travel, the internet is awesome at aggregating flight options. But what if where and when are secondary considerations to price? The internet is less helpful in answering the question we’re currently asking: what is the best travel deal for a winter flight to a warm weather destination anywhere in the world from any southwestern U.S. city? At first glance, Explore offers everything we’re looking for. 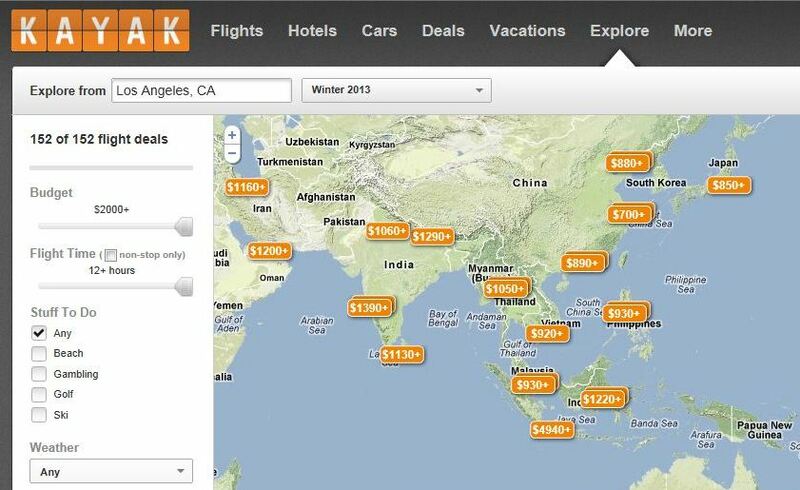 Flight information by season, filtered by climate, with prices displayed on a map of the world. Where Explore lets us down is with its inability to handle complex itineraries or even one way flights. Piecing together a multi-stop, multi-month excursion still requires hours of hunting and pecking on the web. Even in the age of Watson, complex questions are still often better answered by a real human being. Someone who has access to promotional deals and who understands that long layovers in interesting places are not necessarily a bad thing, might offer value far above what travel websites provide. And those sites may not even generate the best deals. Recently Frugal Traveler compared prices of travel itineraries generated by an agent with those that he produced himself using internet tools. In nearly every case, the agent had lower prices. Sometimes dramatically lower. The trick to Frugal Traveler’s success is that he sought out niche travel agents serving specific immigrant communities. An agent who spends their days planning flights to China is almost certainly going to know tips and tricks that we may never learn on our own. They may also get volume discounts not available to the general public. Along with lower prices, Frugal Traveler also got actual service, including visa information, itinerary suggestions, and alternative routes. While we DIY travelers are accustomed to figuring this stuff out on our own, we could save many hours by outsourcing it to someone else. Serious travelers have long known that the best information comes from real people on the ground. Maybe its time to extend this wisdom to include niche agents as well. It pays to compare, DIY does not always work. Good info, thanks! It sure does. One of the things we all forget is that our time isn’t free, and the internet can be a huge time sink. If someone can save me hours of time and get me better results to boot, then that is just a huge home run. Totally agree; time is money! 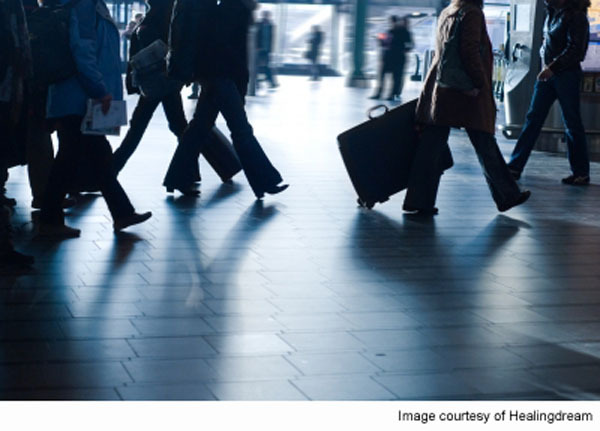 These are great tips for travel. Really great to know, Thanks! – leaving me with savings of about £1000 to spend. This is doing it myself, seeing as the companies were saying it would cost about £2000 just for the above two, when travel + accommodation only came to about £800. Crazy. Love your blog by the way, thanks for all the tips!! Thanks for stopping by my blog because otherwise I would never have found you. Your advice resonates, and I look forward to reading more tips. Had never heard of skyscanner before, so thanks for the tip. Will definitely give it a whirl next time we’re in the market for some flights.